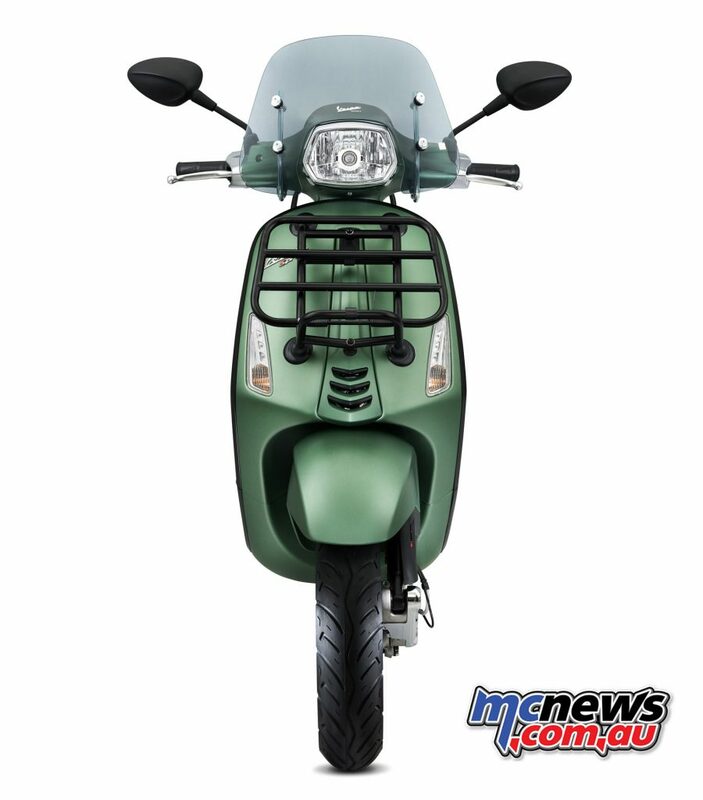 Vespa Australia have announced the release of the Vespa Sprint Adventure, a custom Vespa Sprint 150cc ABS equipped to tour with black matte details and travel accessories, including front and rear folding racks and a smoked fly screen as standard features. 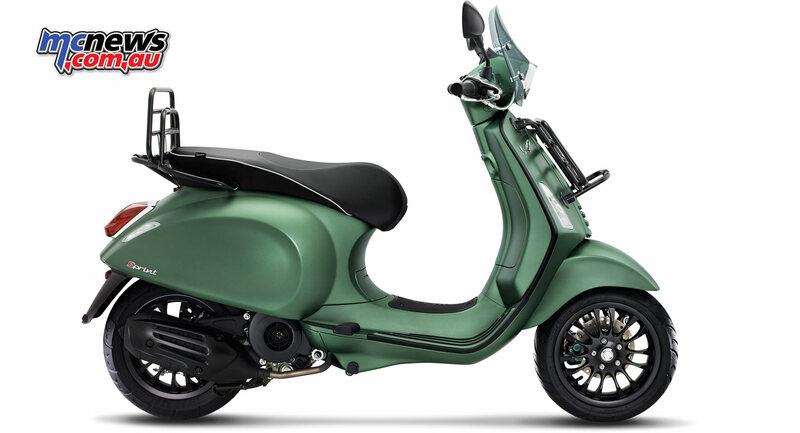 The Vespa Sprint Adventure is limited to 38 units only and two very unique colours: Jungle inspired Matt Green and Desert inspired Matt Sand. Both colours are designed to evoke a sense of adventure, passion and freedom. With 70 years of history and more than 18 million units sold worldwide, Vespa has united generations through a passion to ride and explore. 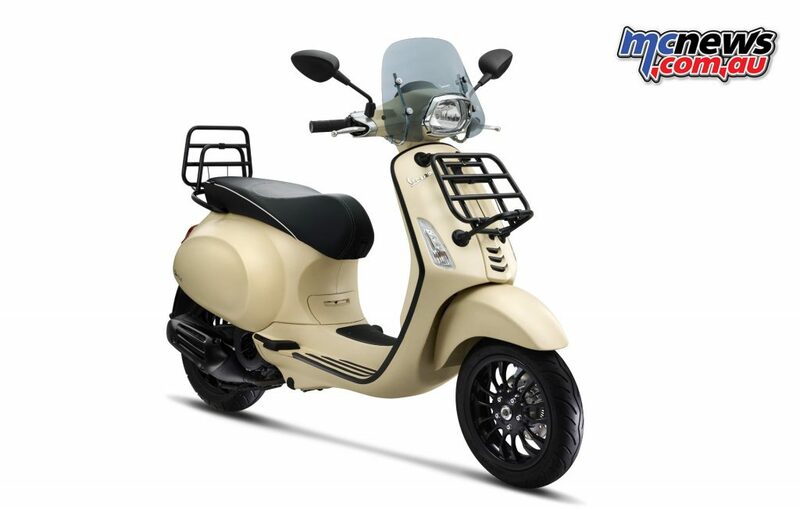 Uncompromising in style, Vespa Sprint Adventure is designed with the traveler in mind through comfort and technology. 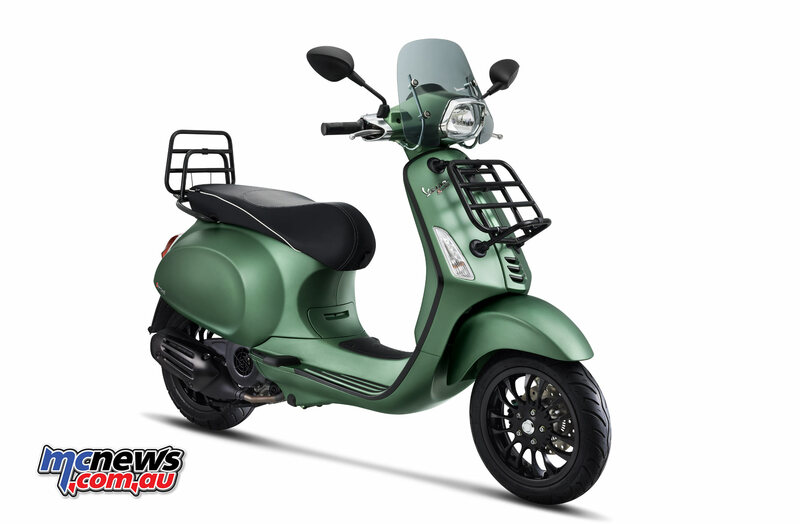 The Sprint Adventure comes with Vespa’s i-Get air cooled engine with electronic injection and 3-valve timing. Each and every detail, from the exhaust to the internal design of the gearbox cover, has been designed to make the ride smoother, quieter and more comfortable. The injection system has been optimised and improved in terms of efficiency; the ECU now has a barometric sensor that guarantees optimum combustion every time, in any condition of use and at any altitude. Maximum power and torque increases respectively to 9.5kW at 7750 rpm and 12.8Nm at 6500rpm and reach new levels of ride ability, making the Sprint Adventure quick in both city traffic of constant “stop and go” and on long stretches of open road. 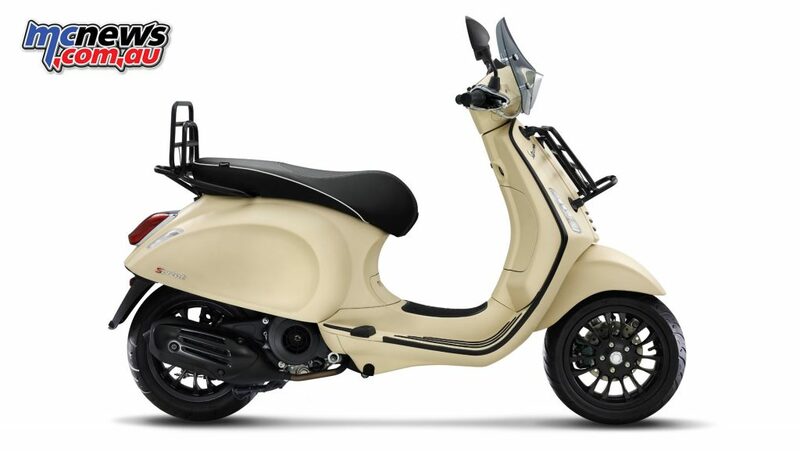 The Vespa Sprint Adventure includes the latest rider safety features with front wheel ABS, guaranteeing front wheel stability, vehicle control and efficient braking even on low friction, coefficient surfaces such as wet or dirty asphalt.